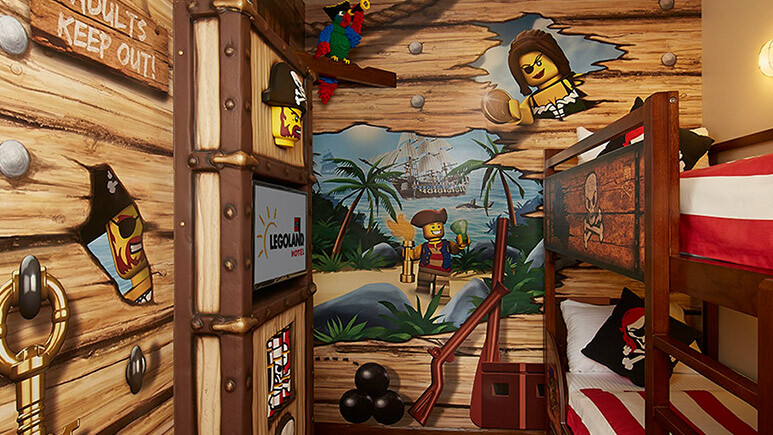 Inside the LEGOLAND® California Resort, themed guest rooms and early access to LEGOLAND®. 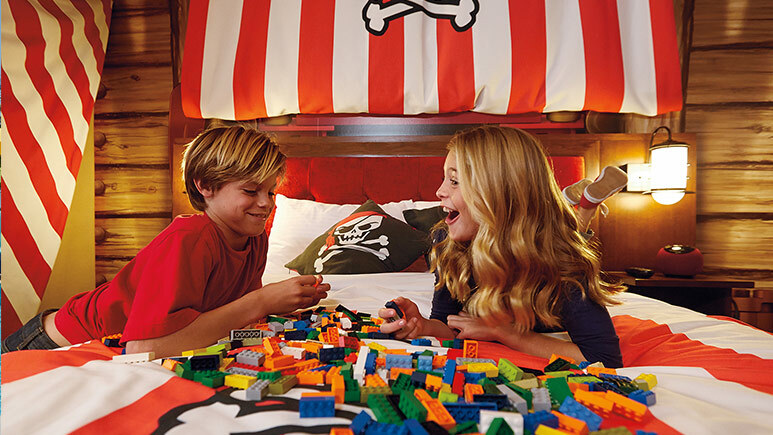 Immerse your family in imagination at the LEGOLAND® Hotel located inside the LEGOLAND® California Resort. 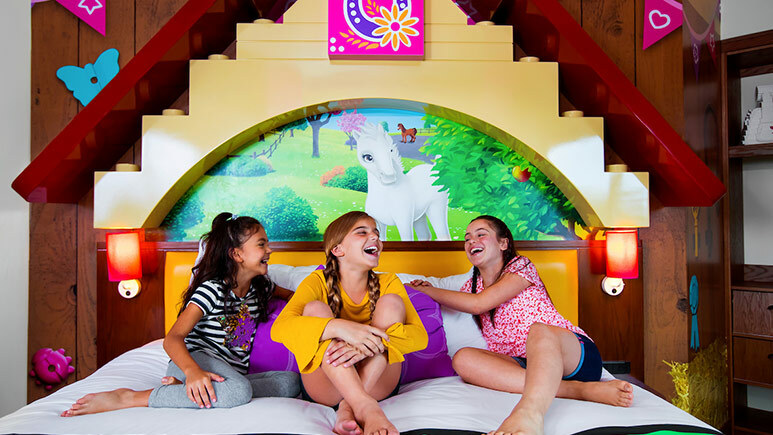 This hotel is complete with interactive LEGO® features, themed play areas, a family pool, nightly entertainment for the kids and specially themed guest rooms with separate areas for parents and kids. 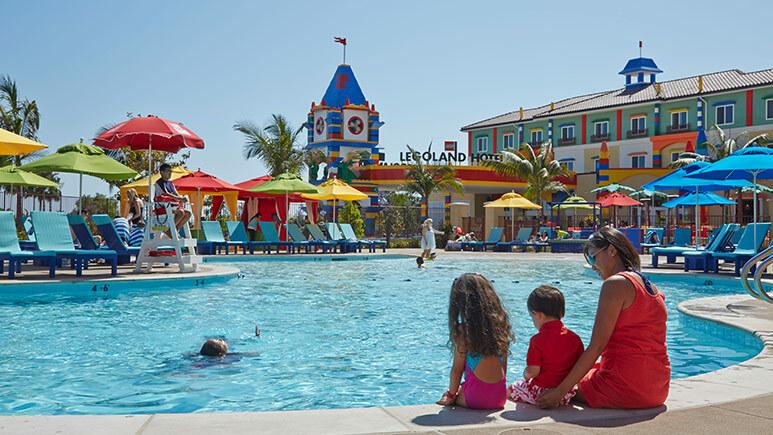 As an added bonus, guests of the LEGOLAND® Hotel will receive special access to select LEGOLAND® attractions before the park opens! 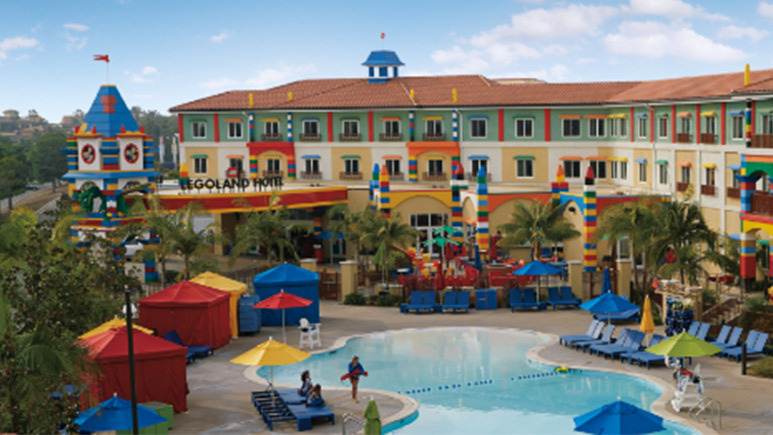 LegoLand hotel was just 1 of our many stops during our vacation and was the best place we stayed! The complimentary bell hop service was fantastic after a long day with 3 kids 6 and under at LegoLand. The room was beautiful, we could see bunnies hopping out the window below and my boys LOVED the kids room area and the treasure hunt rewards. The breakfast was unbeatable. Such great and healthy options. The entertainment was amazing. We loved the dance party, the story time, the dancing in the elevator, and the LEGO pits. We most definitely will be back and plan to make it a longer trip and try out the new castle hotel!! 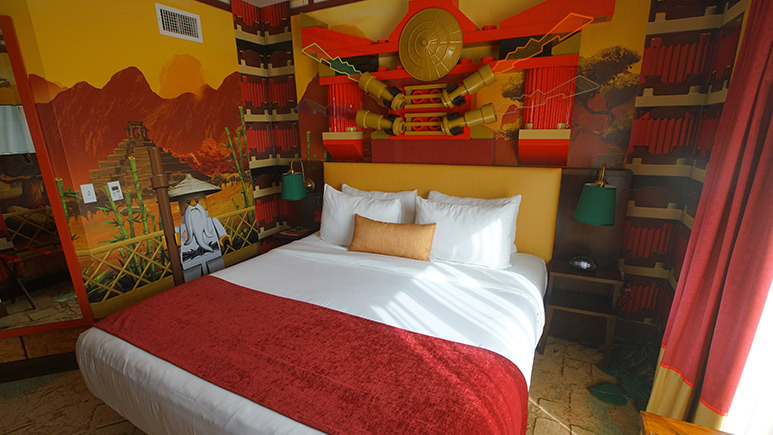 A surprisingly roomy and immaculate hotel with beautiful large suites, themed with popular Lego characters. 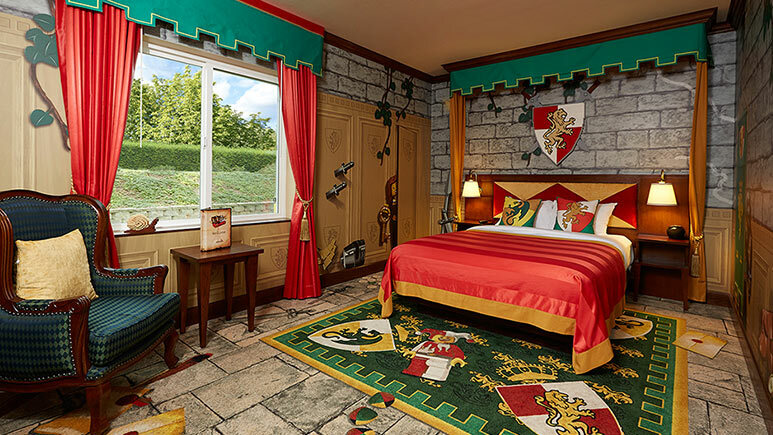 It was a magical experience for my grandson who was excited to go on a 'treasure hunt' and get the prize in our hotel suite. There were many activities for the kids and family after the park closed and the elevators were fun to ride with upbeat music and a disco ball for all to enjoy. Breakfast for hotel guests were complete with anything and everything imaginable for a morning feast. We can't wait to stay there again and were wishing our stay was longer. I highly recommend this hotel. This was such a great hotel! The treasure for kids to find daily in their room was awesome! The great free breakfast, that isn't your normal icky free breakfast at hotels was amazing! So many fun things for the whole family to enjoy. We loved our 5 night stay! Fun Hotel to stay in, even for youger teens! We had a blast in this hotel! There is always something cool to look at and do. The food was really good. Even my 14 year old son enjoyed the hotel. 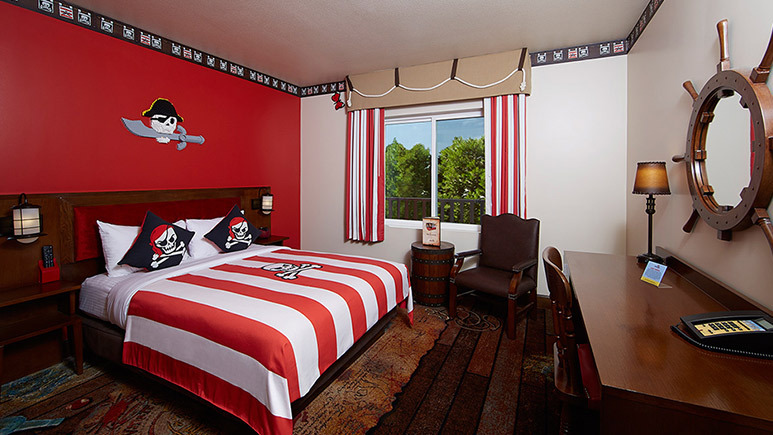 The rooms are so unique and my 12 year old and 14 year old enjoyed the bunk beds! The pool is great too especially at night when they played Lego movies. And they have a bar and outdoor sitting area near the pool with fire pits for the adults to enjoy! We were very happy with this hotel! The service was great and the rooms were nice and clean! I highly recommend this hotel without a doubt! An experience you'll never forget!! 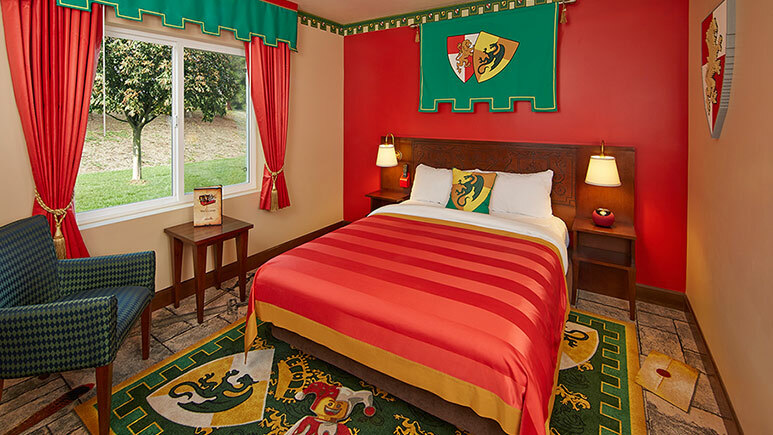 Ok, if you are looking for one of the most fun hotel stays of your life - stay at the Legoland hotel. Seriously, not only my kids, but my husband and I were blown away by the attention to detail and how insanely awesome the hotel was. 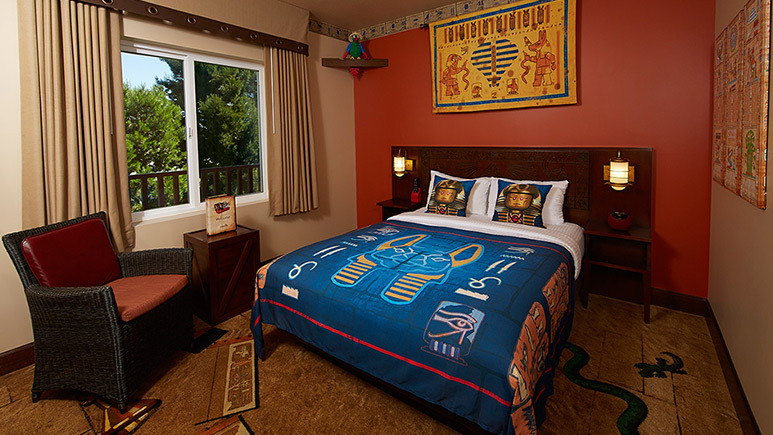 I can not stress enough - everyone is going to love this hotel! They even make the elevator rides fun! 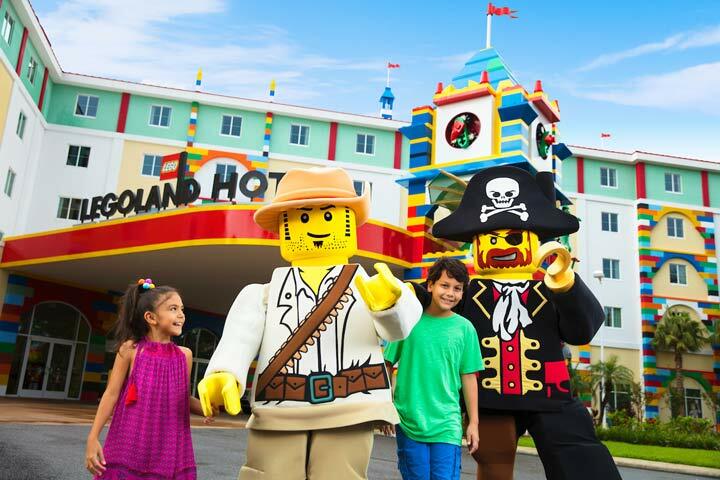 Plus, you are literal steps from Legoland. 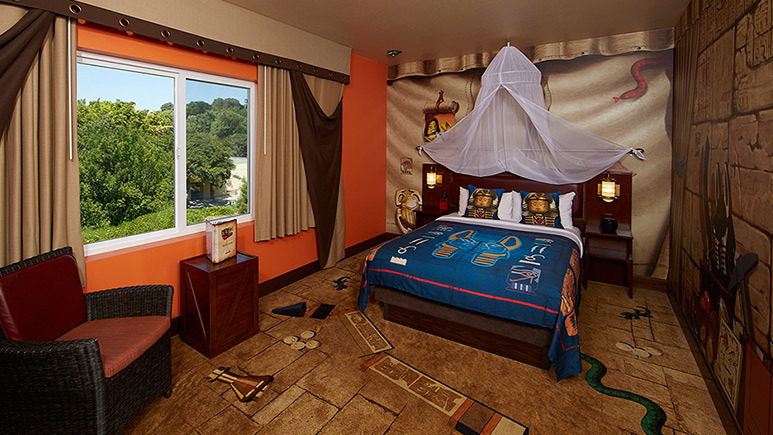 You NEED to stay here with your family. It was one of the most fun vacations we have ever taken.